Before spending seven years in Melbourne and then moving to Germany, I lived and grew up in London. I am one of London’s rarities, a real, born-and-bred, bona fide Londoner. In fact I am actually a Cockney â€” and one of the last! I decided to leave London and the UK eight years ago for several reasons. One of the main ones was that it felt like a dying city. Nothing seemed to be changing, it seemed to be stuck in a rut and living in the past. Until recently, it hadn’t felt like this had changed in the UK, but in the past few years (I would say post-2012 Olympics) this has suddenly changed. The UK, and especially London, is undergoing something of focused flurry of activity right now. London and its ‘Silicon Roundabout’ is in the top five global locations for startups and entrepreneurs, and many are flocking to its concrete beaches to try their luck. 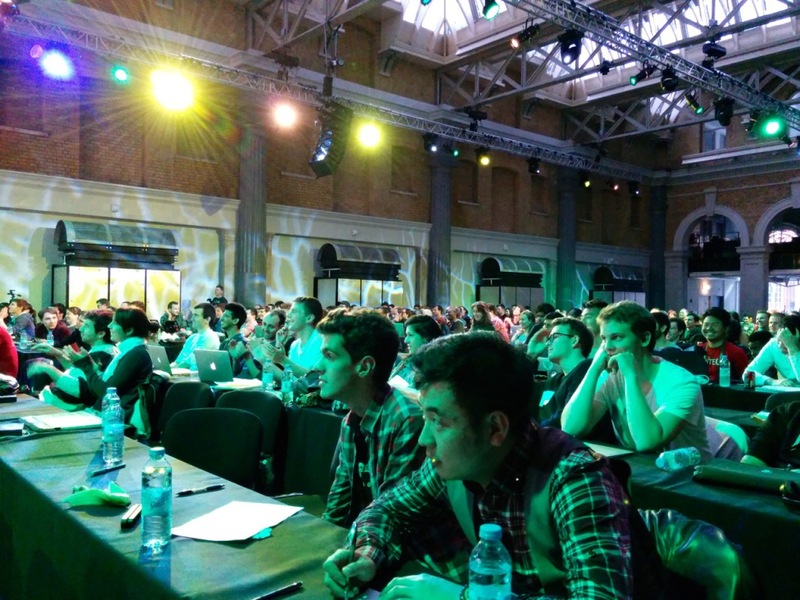 This was the second TechCrunch Disrupt in Europe (well, London) and the event aims to be a focus event of the best in entrepreneurship and disruptive technology. It wasn’t quite enough to convince me to move back to London, but it was such a fantastic event that it nearly did! What trends did I notice, who did I meet, and what did I learn? Quite a lot! Join me whilst I distil it all into something cohesive and simple. TechCrunch Disrupt went for four days: Two of those were a weekend hackathon and the other two the main conference. I attended the hackathon weekend presentations and was impressed by the quality of ideas and presentations that so many managed to create so quickly. The mission of the hackathon was to create something utilizing several (mainly sponsor supplied) APIs. There were quite a few sponsors, so take a look at the event page if you’d like to know who they were. There were lots of entrants and presentations (around 90) and listing all of them would make for a very dull article. You can find them all, plus code or app examples if supplied here to browse at your leisure. There were two main activities running alongside each other at TechCrunch Disrupt, the main auditorium presentations and the ‘Alley’ a room full of exhibitors that changed slightly each day. There were several cultural undercurrents I picked up on at TechCrunch Disrupt, all of which revolved around the subtleties of what exactly ‘Europe’ is. America seems to consider ‘Europe’ its poor cousin that needs its help (which has been true on the past) and the UK considers ‘Europe’ a convenient place to be a part of, when it’s useful to the UK. This all adds up to some interesting dynamics and subtle politics. Often American panelists didn’t seem to understand or appreciate the market a European Entrepreneur was operating in or suggested that Europe had problems that didn’t necessarily exist. The point of an event like this is for everyone to learn from each other but with Americans running the event it did occasionally feel like Europe was being told “There there, you’ll get to be a grown up one day”. Lets break down the main areas of discussion I observed or focused on. The UK especially has encouraging tax incentives for startups, with other member states variable and some traditional loopholes (e.g. Ireland’s) slowly being sealed. Europe has a lot of technical talent, excelling in some fields. For example, traditionally Eastern countries have been good at Artificial Intelligence and large scale data processing. Geography is not as much of a problem as it used to be, in fact some parts of Europe are geographically closer to some parts of America than parts of America. One of the most frequently citied issues with business in the EU, from the US, UK and EU alike, is the European Union itself. It has often been seen as getting in the way by putting in place unnecessary barriers, and its pro-privacy stance has been the subject of international criticism by many business leaders. Recent policies such as the ‘Right to be forgotten’ have been cited as terrible, unattainable decisions that have done nothing but damage the EUs already fragile business reputation. The incredible 70+ powerhouse, Neelie Kroes (European Commissioner for Digital Agenda) spoke at the event addressing as many of these concerns as she could, and if people like her remain in control then I think the EU realizes it needs to be more flexible to remain competitive and will do something about it. She also gave the impression that the EU intends to be more proactive with encouraging ‘dinosaur businesses’ (i.e. Telcos) to “Get out of the way” and let businesses innovate “or else”. The European (and London) startup scene(s) are considered to still be maturing in comparison to the American scene. This is a fair point, as it is only 10–20 years old as compared to the several decades of the USA. Thus important to note when discussing when Europe will produce a startup that will turn into an organization on the scale of Facebook or Twitter. Many Europeans feel that this shows the European startup scene is mature and doing exceptionally well, with a ‘Unicorn’ (valuation of $1 billion plus) due soon. One of the arguments in support of Europes lower valuations was that its startups often are working on different (and perhaps less easily-lucrative) fields. Another is that much of it’s talent ends up lured and absorbed into US businesses, effectively meaning many Europeans are part of many large startups, they just all happen to be in the USA. Whilst the unified regulatory bodies of the European Union often cause grief to US and EU business alike, in certain sectors, the ‘one stop’ for approval can also mean that a startup has access to a large and widespread market far quicker than in the USA. This is especially relevant for Financial and Medical technologies, two sectors experiencing massive interest and growth. Having approval in Europe then means it’s easier to get similar approval in the USA. This is an area I have become extremely interested in and whilst in recent years there are far more options for paying people with technology than there ever were, the financial mainstream is incumbent and ripe for disruption. I feel this is coming soon and there were a number of speakers and organizations that demonstrated this to me. While countries in Europe have different attitudes and cultures to financial institutions, the single regulatory authority noted above also means that these organizations can move and evolve quickly. Number 26 – A German based banking solution that combines a mastercard, phone app and realtime transaction data into a bank account for the modern age. Sign2Pay – A mobile app that aims to use one of the oldest technologies in the world, your signature, to replace account numbers, pin codes and other forms of proving who you are when making payments. Hitbills – Is a different service that flips the concept of consumers looking for service providers that suit their needs on it’s head. With HitBills, the consumer uploads their utility bills and providers get to pitch for their custom. While a lot of applications of modern technology are interesting and make our lives easier, it’s hard to argue we really need a lot of it. When some of this technology is applied to healthcare and our well-being, things start to become exciting. Two exciting HealthTech startups were taking part in the Startup Battlefield competition and by all rights (and according to Twitter), they should have won. Oscadi – This small team from the even smaller Island of RÃ©union combined custom hardware and software to create an iPad based diagnosis tool for ultrasound and remote consultations. It was well-packaged, well-executed and cost a fraction of the current tools available. Disease Diagnostic Group – DGG began their pitch with one of the best pitch opening lines you’re ever likely to hear, “What if I told you I could save millions of lives with fridge magnets and a laser pointer”. DGG have created the RAM, a Malaria detector that is cheaper, more reliable and potentially applicable to other conditions such as HIV. This is a miscellaneous collection of observations gathered to cover those startups looking to solve another of my personal favorite topics: Keeping all these disparate pieces of technology communicating together. This might be API solutions, a considered packaging of existing ideas, or something else. Crate.io – Eventual winners of the Startup battlefield, Crate will appeal to many of you. They aim to create an easy to use distributed and scalable collection of SQL, NoSQL and other data services for all our modern data storage needs. They have an open source option you can roll yourself and an enterprise package. PhotoMath – An iPhone app that can give the solution to a maths problem (up to about age 14 at the moment) and the steps to solving it, by pointing your camera at it. The reason I include it in this section is due to the manner that Blink, it’s creators intend to continue their business. The App is free, but the technology inside it can be licensed by other developers to undertake pattern recognition outcomes. PhotoMath is the showcase for the technology. 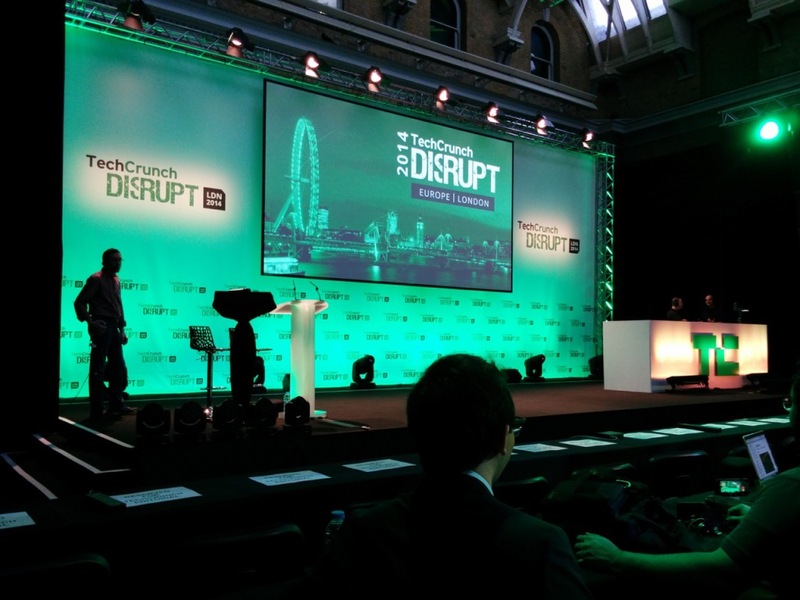 This is a small selection of the many, many things I saw and heard at TechCrunch Disrupt. I have a huge pile of business cards and flyers from some of the others and over the coming months SitePoint will be featuring the work and words of those who we feel will be relevant to our readers. Enjoy the future.